The Portage Supply Mariner Messenger Bag is the single most comfortable messenger bag that I’ve ever used. 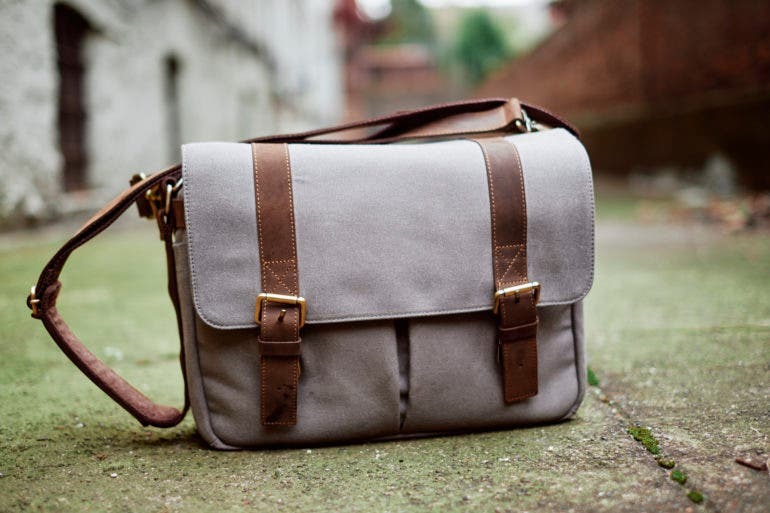 For years, I had sworn off messenger bags–but the Portage Supply Mariner Messenger Bag is using its beautiful looks and design to lure me back in. Admittedly, messenger bags are awful for your bag and in the long run I couldn’t see myself using the Portage Supply Mariner Messenger Bag as an every day bag. But on the occassions where it makes more sense for me to bring along a messenger instead of a backpack, I think that the Portage Supply Mariner Messenger Bag is going to be the one for me. Let’s discuss why. I wish that it had side pockets that were a bit more expandable. 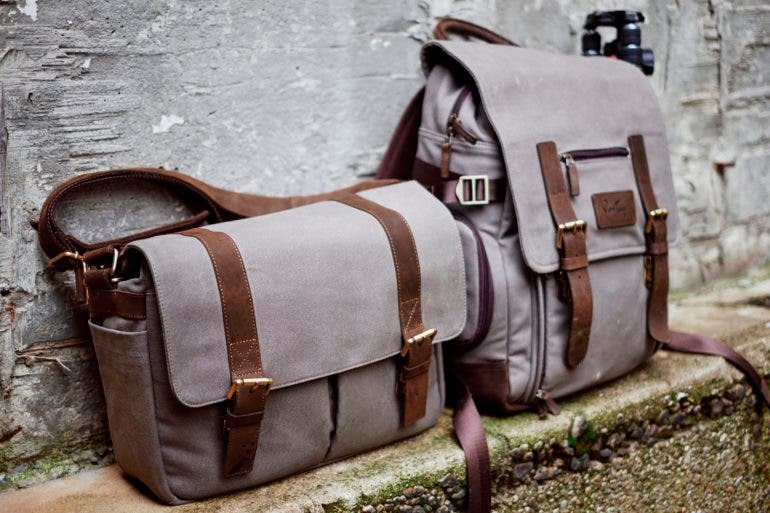 We tested the Portage Supply Mariner Messenger Bag with lots of Leica, Canon, Fujifilm and Sony cameras and lenses. My 2015 MacBook Pro was in here. 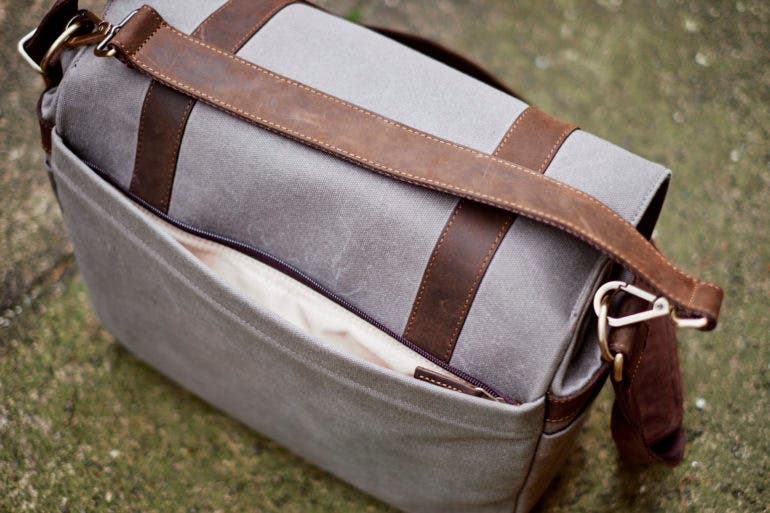 Handcrafted with premium cotton canvas. *Gray color is waxed canvas. 100% Genuine leather – has a vintage look that ages beautifully over time. Side weather flaps to protect your gear. Internal dividers are removable, and are padded for protection of your items. Front zipper pocket is handy for your cell phone or other quick must haves. 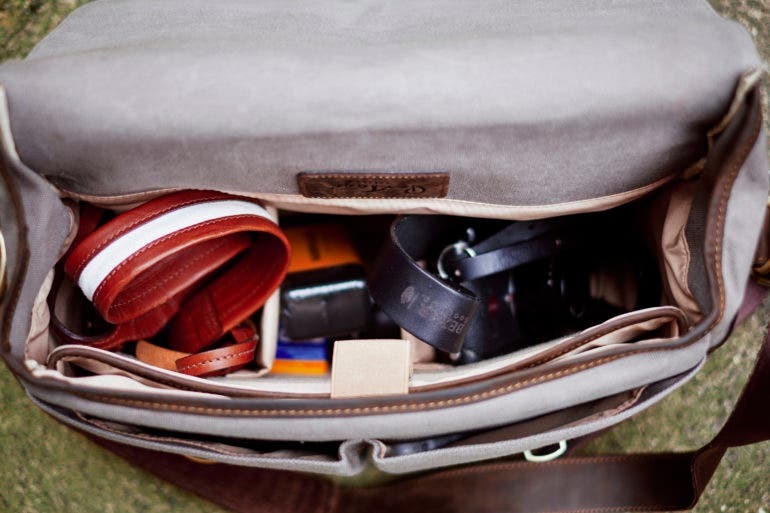 Room for a camera, two lenses, 13″ or 15″ laptop or tablet. Large enough for most professional lenses. The Portage Supply Mariner Messenger Bag is a messenger bag with looks that aren’t totally like that of many others on the market. One could say that they look like ONA; but they inherently don’t. Part of that is due to the more low profile look that it exudes. You can see the top flap, the snap straps, and the fact that there are two pockets underneath in the photo above. Come to the top and you’ll find the shoulder strap. This strap has a shoulder pad and the rest of the strap doubles over to provide even more comfort to the photographer. In practice, it’s really nice and yet doesn’t cause you to sweat excessively. Behind the shoulder strap is this suit case strap. It feels nice, is comfortable, and the hardware on it is solid brass. 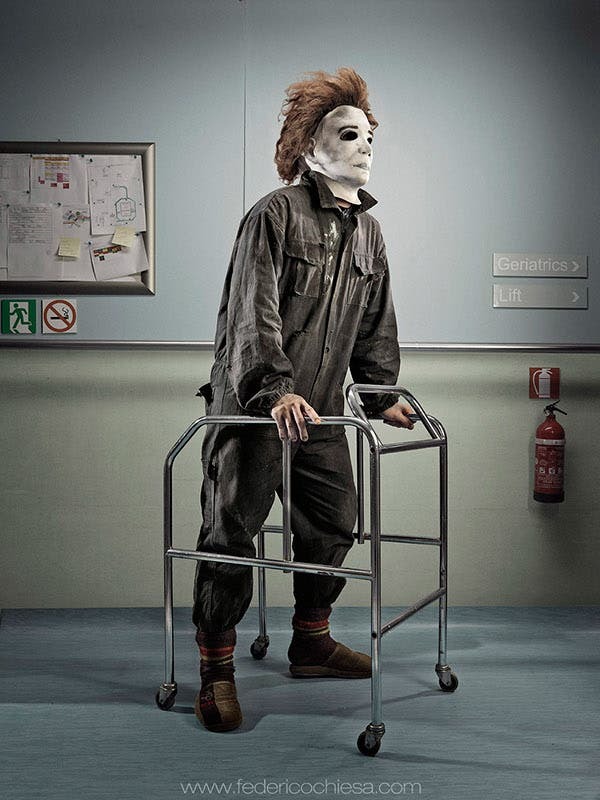 I can’t really complain about it; and I really like it. The back of the Portage Supply Mariner Messenger Bag is where I’ll often put books, my passport, or other random things. Open the bag up and you’ll see the interior. The laptop sleeve is towards the front and the camera dividers are an adequate size and thickness. You’ll get security–and you won’t need to worry about the weather proofing as the flaps on the side keep out the rain. The front pockets are where I’ll store things like chargers, eyedrops, keys, etc. They’re standard and allow you to stuff them quite a bit. Sometimes, all you need is standard. During my testing, I took the Portage Supply Mariner Messenger Bag out into the rain and along commute after commute. The contents inside held up just fine and the straps also didn’t suffer any problems at all. What I should speak to specifically with this bag though is the shoulder strap. It’s an unconventional design that if embraced, becomes one of the most comfortable out there. There is a shoulder pad on the strap but if you wear the bag going from right shoulder to left hip, then what will inevitably happen is the strap will double itself up to provide natural padding and the shoulder pad itself will come to the under part of your ribs. This, in practice, provides a whole lot of nice comfort. It may look weird, but I’ve come to embrace it. In addition to all this, the quality of the zippers, the dividers, and the pockets are all very well made. I can’t complain; but instead I really just wonder how the Portage Supply Mariner Messenger Bag is made and sold at such an affordable price. Sometimes, the simple things just work. 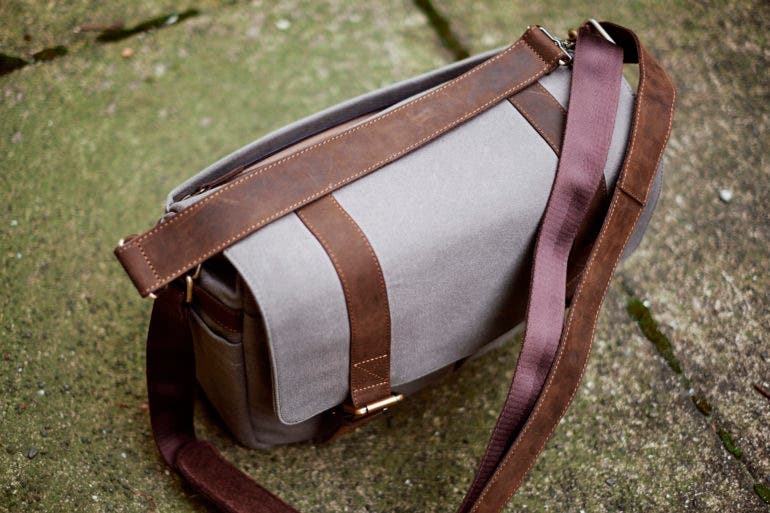 The Portage Supply Mariner Messenger Bag uses standard buckles that have been standard to the photo industry for years and I can’t complain about them. I don’t need the innovation that Peak Design has on their bag–though I commend them for it. Instead, I’ve realized more and more that the inherent design of the camera messenger hasn’t changed for damned good reasons over the years. The Portage Supply Mariner Messenger Bag is a pretty simple design: it’s waxed canvas, has leather accents, is soft to the touch yet rugged, and opens up in a standard way yet gives you the protection you need. The quick access isn’t the quickest and perhaps a zipper on the top flap could fix this, but In my uses I haven’t really complained. I’ve rarely ever been in a situation where I needed to change lenses that quickly–and in the photojournalistic situations that require those, I’ve simply brought a backpack instead. In the end, a backpack gives the modern photographer and photojournalist access to all the gear they really need and quickly–all while ensuring comfort. In use, I tended to really like the suitcase strap. There are times when I don’t want to use the shoulder strap. In fact, the shoulder strap is really only practical when walking for a really long time. Otherwise, if I’m simply walking downstairs to head into a cab, then I’ll hold the suitcase strap. Said strap is also detachable–yet given that it’s so gorgeous, I really wouldn’t take it off at all. 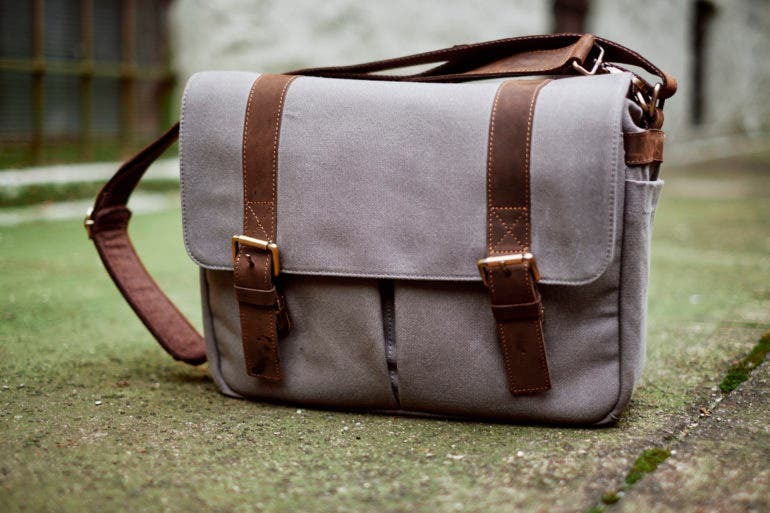 The Portage Supply Mariner Messenger Bag is really easy to use and again, it basically takes what the photo industry has been doing for years and improves on it in slight ways–mostly being materials and little things like moving where the laptop sleeve is. For me to say that I adore a messenger bag these days is a big feat, but the Portage Supply Mariner Messenger Bag is truly winning my heart over. The only thing that could make it even better is making it convertible to a backpack. Indeed, simply just a way to change the strap setup could help here. 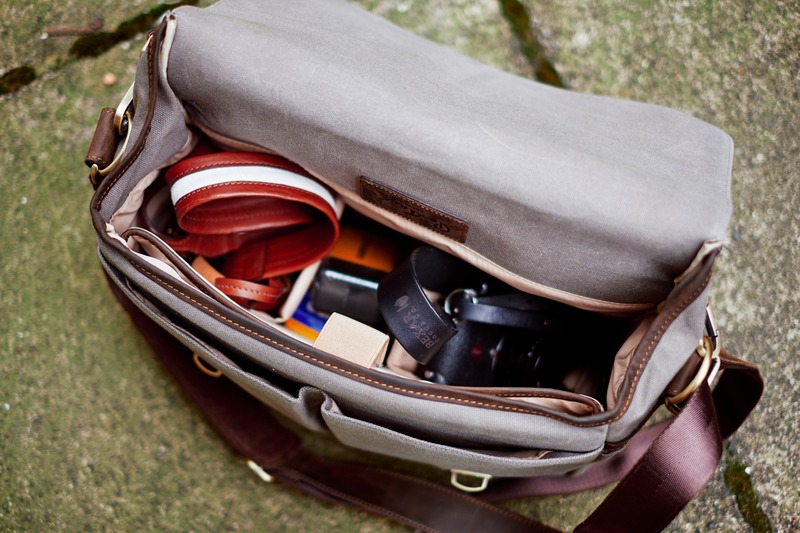 But the Portage Supply Mariner Messenger Bag is rugged, good looking, and has kept my gear perfectly in tact. 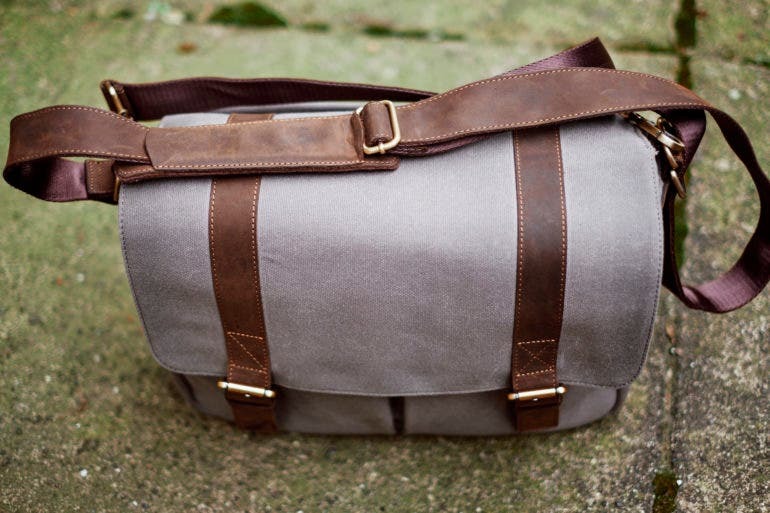 Though is isn’t 100% perfect, the Portage Supply Mariner Messenger Bag can’t be faulted. And so I’m awarding it five out of five stars and giving the bag our Editor’s Choice award. 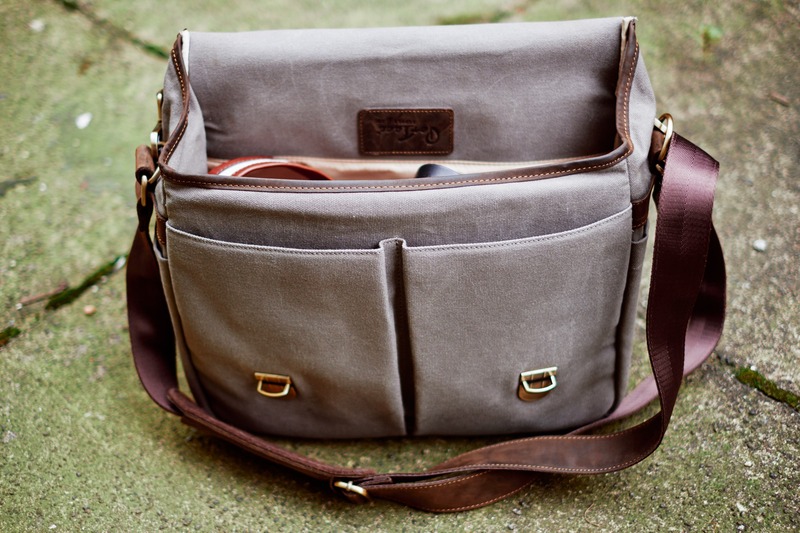 This is my favorite messenger bag in years, and you can get yours very affordably on Amazon.